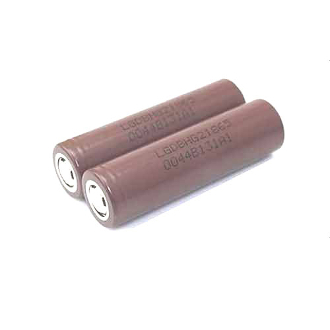 The LG INR HG2 18650 Flat Top battery has a capacity of 3000mAh. It is a very powerful battery used in all of the top MOD batteries in circulation in the vaping world. With its 3000mAh capacity, it will give you hours and hours of battery life. It has a nominal voltage of 3.6V and a constant standard charge current of 1500mA. When you receive your new battery, charge for 8 hours. After the initial 8 hour charge, never leave the battery on the charger for more than 5 hours at a time or until the charger indicates that the battery is fully charged. This will ensure that no damage from over charging will occur with the battery or charger.